Barb Slone | Greene County News Young’s Jersey Dairy hosted the 42nd Annual Fall Farm Pumpkin Festival Oct. 6-7, inviting local families to enjoy pumpkins galore in addition to a number of other seasonal activities, such as a corn maze, sweet treats, a wagon ride and more. Families could also enjoy a cow-milking demonstration, observe donut-hole making, pumpkin painting or take a shot with the human-powered pumpkin launcher. 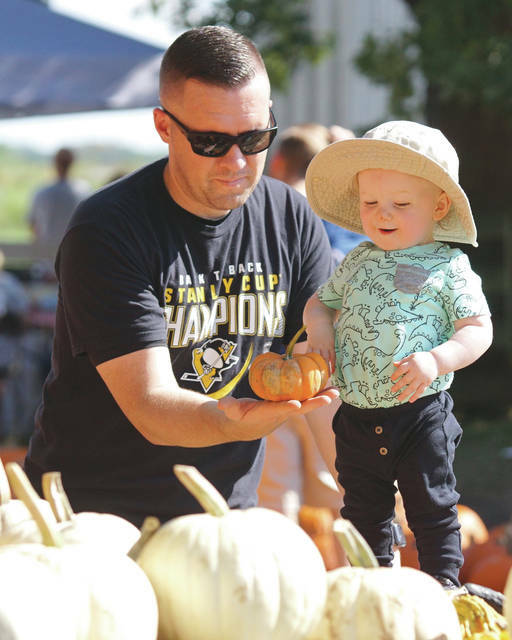 Young’s Jersey Dairy hosted the 42nd Annual Fall Farm Pumpkin Festival Oct. 6-7, inviting local families to enjoy pumpkins galore in addition to a number of other seasonal activities, such as a corn maze, sweet treats, a wagon ride and more. 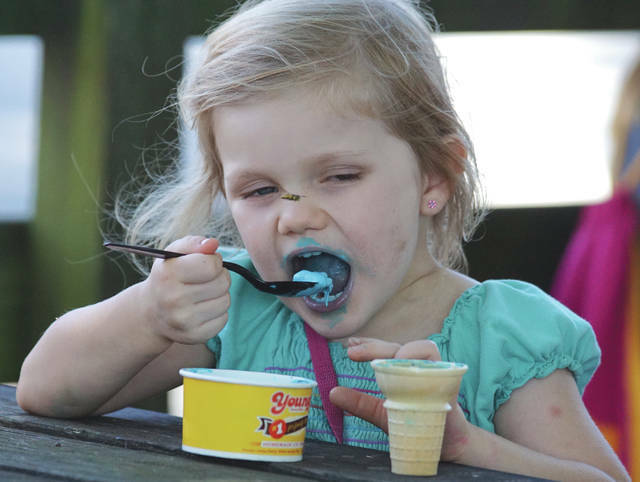 https://www.fairborndailyherald.com/wp-content/uploads/sites/50/2018/10/web1_youngsfall4.jpgBarb Slone | Greene County News Young’s Jersey Dairy hosted the 42nd Annual Fall Farm Pumpkin Festival Oct. 6-7, inviting local families to enjoy pumpkins galore in addition to a number of other seasonal activities, such as a corn maze, sweet treats, a wagon ride and more. 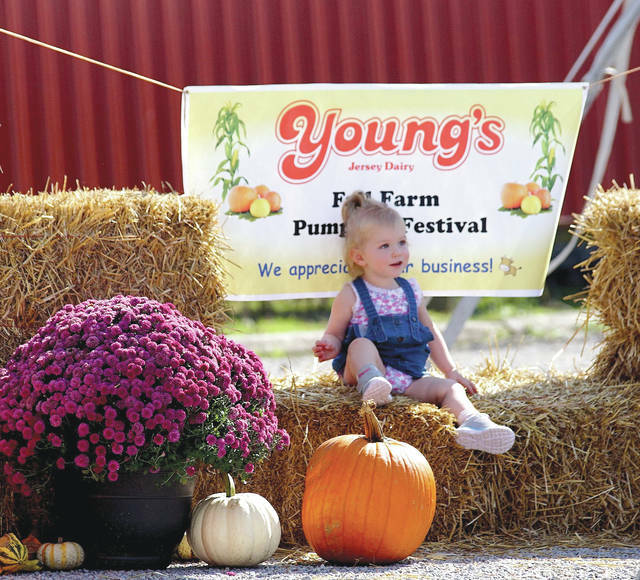 https://www.fairborndailyherald.com/wp-content/uploads/sites/50/2018/10/web1_youngsfall1.jpgBarb Slone | Greene County News Young’s Jersey Dairy hosted the 42nd Annual Fall Farm Pumpkin Festival Oct. 6-7, inviting local families to enjoy pumpkins galore in addition to a number of other seasonal activities, such as a corn maze, sweet treats, a wagon ride and more. https://www.fairborndailyherald.com/wp-content/uploads/sites/50/2018/10/web1_youngsfall2.jpgFamilies could also enjoy a cow-milking demonstration, observe donut-hole making, pumpkin painting or take a shot with the human-powered pumpkin launcher. https://www.fairborndailyherald.com/wp-content/uploads/sites/50/2018/10/web1_youngsfall3.jpgFamilies could also enjoy a cow-milking demonstration, observe donut-hole making, pumpkin painting or take a shot with the human-powered pumpkin launcher.